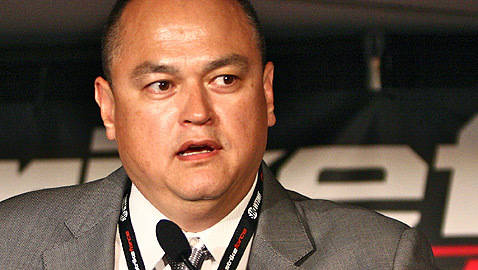 The list of Strikeforce fighters heading to the UFC is growing with more names announced on Tuesday. The Strikeforce: Marquardt vs. Saffiedine fighter salaries were released to MMAWeekly.com on Monday with Josh Barnett, Gegard Mousasi, and Daniel Cormier heading the payroll. 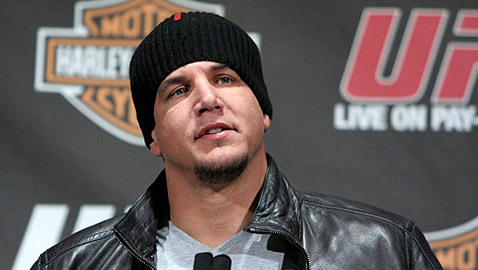 Check out Showtime's post-fight interviews with the Strikeforce: Marquardt vs. Saffiedine main card winners. If you missed it or just want to take a look back at the main card fights on Showtime, check out this Strikeforce: Marquardt vs.
Strikeforce: Marquardt vs. Saffiedine live results and play-by-play on Saturday, January 12. 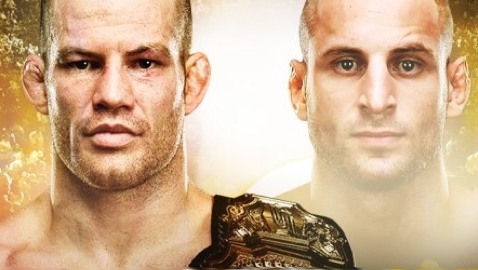 The main event features Nate Marquardt vs. Tarec Saffiedine. 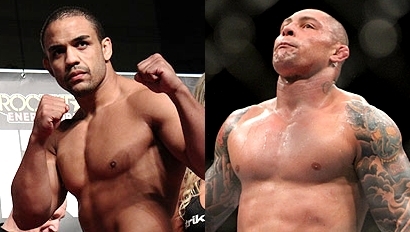 Strikeforce: Marquardt vs. Saffiedine quick results on Saturday, January 12. 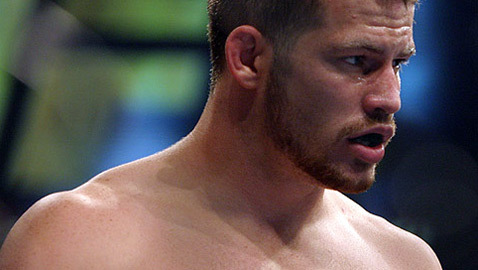 The main event features Nate Marquardt vs. Tarec Saffiedine. The final Strikeforce show ever happens on Saturday night with welterweight champion Nate Marquardt defending his title against Tarec Saffiedine in the main event. 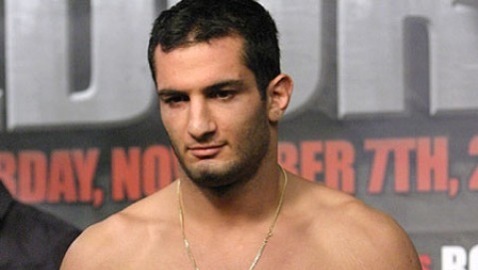 It's scary to think that through more than 30 professional wins, Gegard Mousasi hasn't even tapped into his real potential yet. MMAWeekly Radio says goodbye to Strikeforce with Thursday's show with Gegard Mousasi, Tim Kennedy as well as debate surrounding the final show this weekend. A lightweight showdown between K.J. Noons and Ryan Couture has been added to the Strikeforce Champions event slated for Jan. 12 in Oklahoma City, Okla.
Former Strikeforce light heavyweight champion Rafael "Feijao" Cavalcante's appeal to the California State Athletic Commission was denied on Monday. 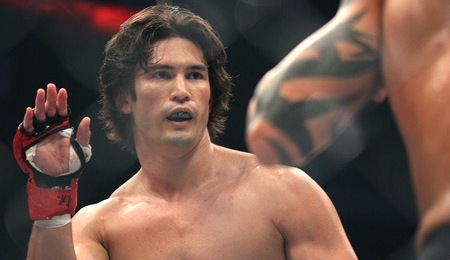 Strikeforce on Wednesday firmed up the full Showtime main card for Strikeforce: Melendez vs. Healy slated for Sept. 29 in Sacramento, Calif.
Strikeforce fight card, rumors, and start times for September 29, 2012, in Sacramento, California. Josh Barnett and Gilbert Melendez topped the payouts for Strikeforce: Barnett vs. Cormier, according to the fighter salaries released by the California State Athletic Commission. 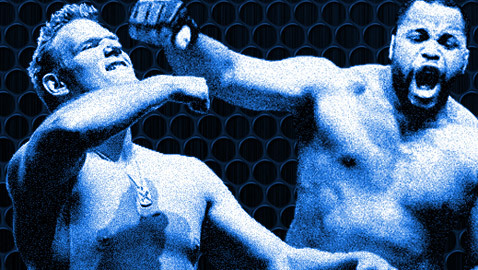 When the Strikeforce Heavyweight Grand Prix kicked off in 2011 there were eight names in the tournament, but Daniel Cormier wasn't one of them. 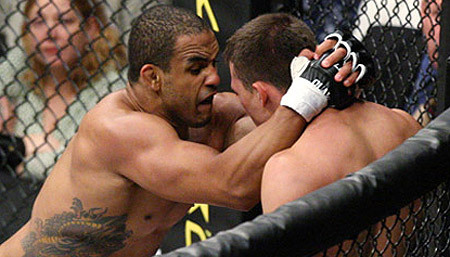 Strikeforce: Barnett vs. Cormier live results and play-by-play on Saturday, May 19 in San Jose, California. 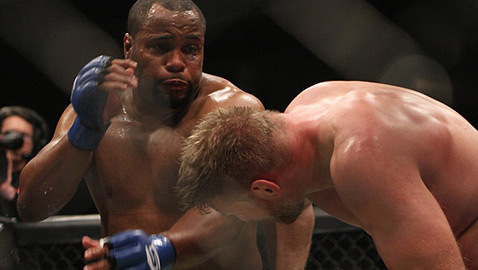 The main event features Josh Barnett vs. Daniel Cormier. 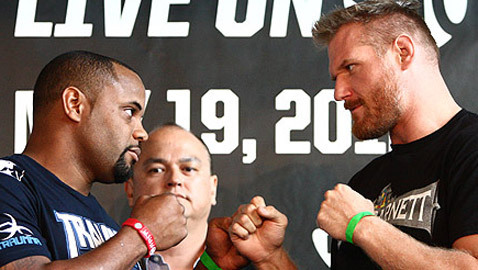 Strikeforce: Barnett vs. Cormier quick results on Saturday, May 19 in San Jose, California. The main event features Josh Barnett vs. Daniel Cormier. Check out the weigh-in highlights from the big three fights slated for Saturday's Strikeforce: Barnett vs. Cormier at the HP Pavilion in San Jose, Calif. 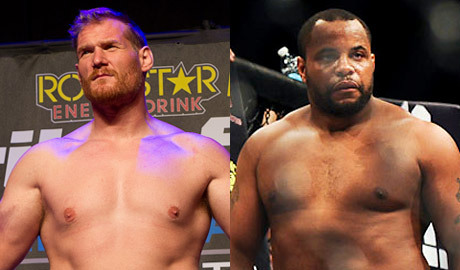 The finals of the Strikeforce Heavyweight Grand Prix are here and Josh Barnett and Daniel Cormier weighed in on Friday to make their bout official. 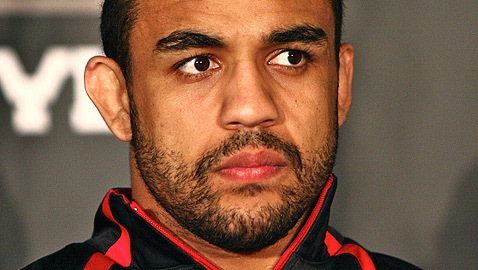 Feijao looks to keep his rebound rolling at Saturday's Strikeforce: Barnett vs. Cormier. Check out what he had to say at Thursday's pre-fight press conference.